There is no question phở is very much popular around the world these days. The traditional, "authentic" pho will be around for a long time, but on the other hand, pho is also taking on a new transformation that will change how it is made and served in the near future. This is the natural path pho will follow and develop, just as it has in the past. Change is coming for pho and we're already heading that way in some ways. The creation of pho a century or so ago. 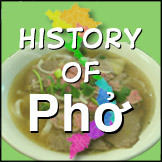 Read The History and Evolution of Pho: A Hundred Years’ Journey. The first exodus of North Vietnamese migrating south and bringing pho with them in 1954. 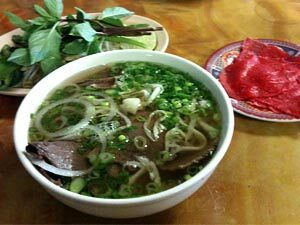 The years between 1954 and 1975 when pho flourished in the South to become the identity of the Vietnamese people. The second exodus of Vietnamese out of Vietnam to all corners of the world in 1975. 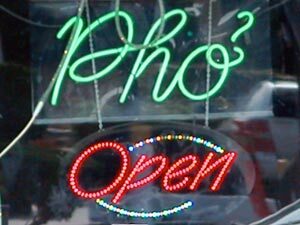 The years since 1975 when pho struggled then organically grew in pockets around the world, mainly in North America, Australia, various Asian countries other than Vietnam, and in Europe. 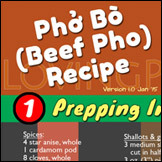 The years since around 2008 (or give or take) when pho became mainstream in North America and elsewhere, and when non-Viet chefs began to take notice and create their own pho or pho inspired dishes and restaurants. 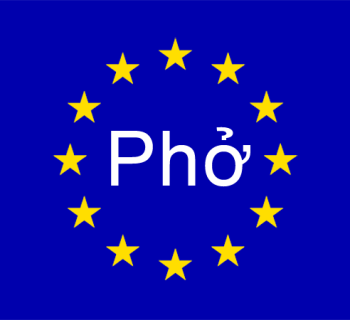 Now that pho has gone global, all conditions for a new change are in place. Who will stimulate the change, and how that change will be made exactly, is yet unknown. All I can say is, once that happens, people will go gaga over it to make it yet another new trend. The Coca-Cola Co., Atlanta, which launched its interactive fountain innovation the Coca-Cola Freestyle machine in 2009, also has built upon its fountain platform. The company has expanded its dispenser lineup to include three countertop models. Two of the models are designed for medium-volume locations and able to dispense 80 different beverage choices. The third unit is suited for break rooms and cafes and features 35 drink options. The Coca-Cola Co. also enhanced the “Create Your Own Mix” feature on the Coca-Cola Freestyle app. The smart technology, available on Android and Apple devices, allows consumers to tap and drag three different flavor options from more than 100 choices and adjust the percentage of each mix. Consumers can then scan the QR code to connect with a Coca-Cola Freestyle machine to dispense their personal creation. Not that Coca-Cola is doing bad in global sales. Like any good business, the company works hard to compete and sell more of its products. It's a sure bet that they won't change their Coke formula, so the next best thing is to develop new ways to sell the same products, using innovation and technology. The same concept can and should be applied to pho as well. So here are a few important factors that will fuel new changes in pho. It can be a single thing, or a combination of these things that will be the force of change. It's the people. People change. People want new and variety all the time. People want more. Witness seafood pho, ramen burgers, and Korean tacos. It's fine if pho is contained within the borders of Vietnam but now that the secret is out around the world, you cannot stop, contain or even control its change. It's the competition. Restaurants want to make money. They compete for customers. And new restaurants pop up all the time. The only way for new and existing restaurants to survive and beat the competition is to add new and unique items that others don't have (yet.) This is breeding ground for new pho. It's the technology. There's nothing compared to cooking and serving pho the traditional, "authentic" way. But... maybe there is. The old ways are just not practical anymore, especially outside of Vietnam. Witness the modern commercial cooking equipment and storage, takeout utensils, open kitchens, and Quoc Viet soup bases. We've already seen changes in the way pho is made and served, and foodservice technology will continue to influence pho of the future. Technology will change how pho is made and served. It's global. People have different tastes depending on where the live and what ingredients they can get. People also want to adapt foreign foods to their own local tastes. With this many people liking pho, there will be those wanting to change it. This has already happened to some extent. I am not in the business of telling the future, but because I love pho so much, I always wonder where it's heading and if I will like its new look and taste. 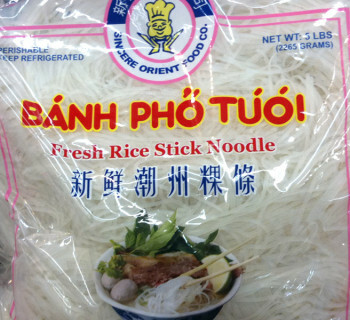 I always look out for things that can and will change my beloved pho. Pho customers won't know what hits them when it finally arrives, and pho restaurateurs can make a killing if they look out for it. You can't lock up a good thing. Once it's out and people know about it and love it, it's no longer yours. Ever heard of dry pho Gia Lai which was created within Vietnam itself and is creating a strong following? Amazing. Vietnamese Pho in Europe: A Far Cry from Home? 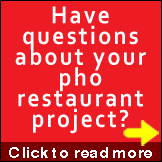 Know someone in the pho restaurant business?